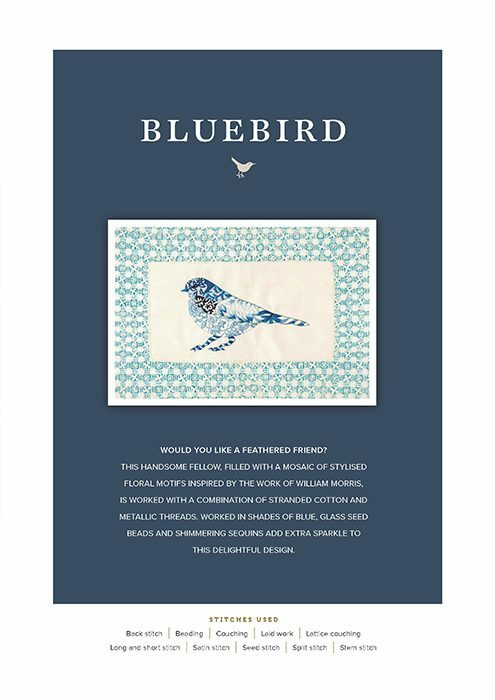 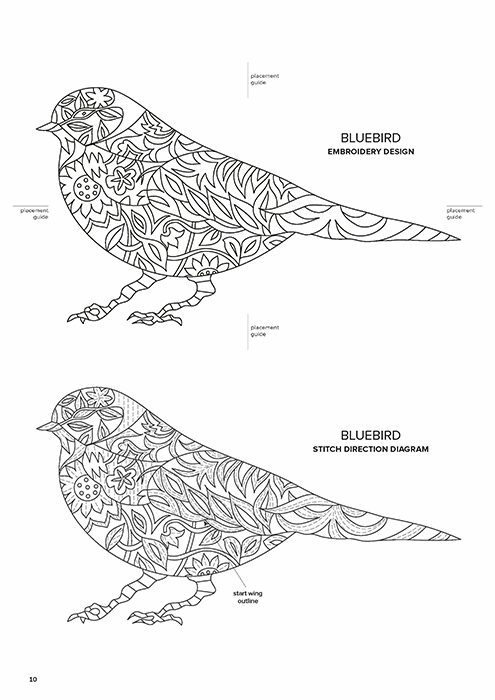 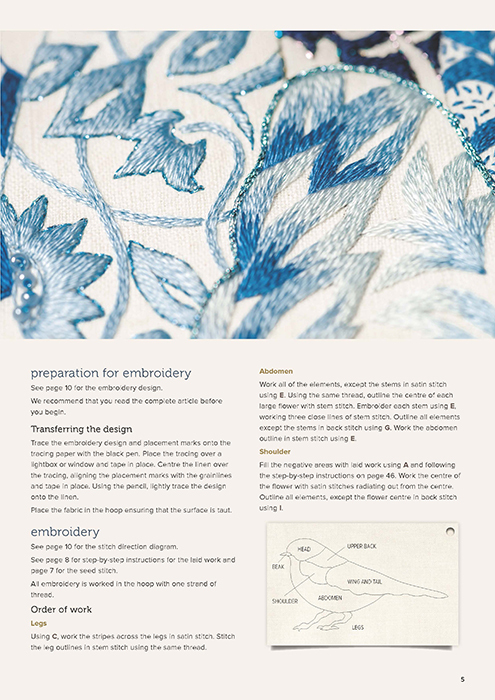 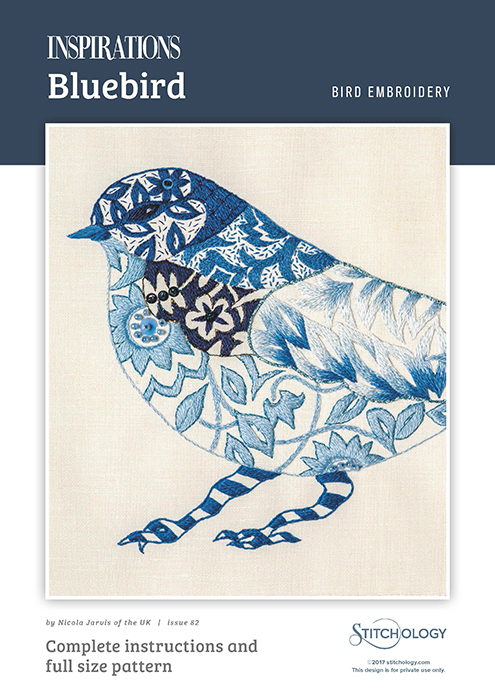 Bluebird by Nicolas Jarvis is a cheeky bird filled with William Morris inspired floral patterns. 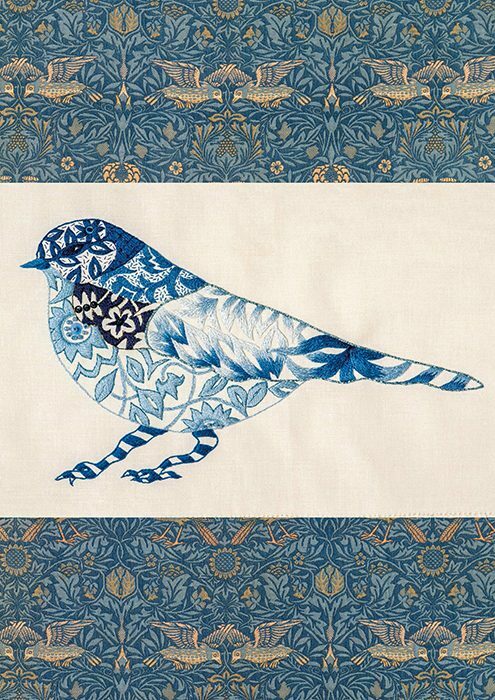 This handsome fellow, filled with a mosaic of stylised floral motifs inspired by the work of William Morris, is worked with a combination of stranded cotton and metallic threads. Worked in shades of blue, glass seed beads and shimmering sequins add extra sparkle to this delightful design.